Several weeks ago, the doorbell of my house rang. Outside stood a young man, requesting permission to take our number for a lawn care company. Having just moved to this house last fall with my family and unsure whether my parents would be interested I naively accepted. Oh how I regret this decision in hindsight. Since then, we have been bombarded with phone calls from Weedman. I happened to answer that first call, during which I patiently heard the employee out and asked multiple questions about the products and technologies they use, whether they are environment friendly, their prices. I then said I will present this information to my family, which I honestly did. Meanwhile I went online to do research, only to find numerous articles, blogs and company reviews about how this company refuses to take clients off their phone list, keeps returning phone calls when turned down, provides unwanted services and bills people for them anyway. The list goes on. After reading such negative opinions, I immediately wrote them off. So when they called back a second time, I politely said I had done my research and that as a family we had decided not to receive their services. Weeks and phone calls later, I am stunned by the tactics the company uses: calls from different unlabelled numbers so that they cannot be screened, employees claiming they did not know we had requested to be taken off the list, and just recently, an employee saying he cannot take us off the list until he speaks to the owners of the house! As the adult who has been dealing with them from the beginning I was shocked, not only by his tone but his adamant persistence that he will call back to speak to the owners. Before he hung up on me he whistled his displeasure. All of which has lead me to write this short, inarticulate article. A feat in itself, since I avoid writing, and write this only in hopes that it will maybe make a positive change in certain people’s lives. To the staff of WeedMan: I will give you the benefit of the doubt that you do not know we have already been called. So please, improve your internal communication channels and listen to the person on the other end of the line who declines your services. And do it politely to boot. To the unsuspecting consumer: be smarter than I was and do not provide your contact info to WeedMan. You will regret it. Weedman is Horrible and Ripped Me Off! CRIMINAL!!!!!! This is the most dishonest, irresponsible and incompetent company which whom we have ever dealt. While our weed control was pathetic this summer after being charged for weeds to be eliminated from our property, we were told by Weed Man representatives that it was the time of year (July) when we could expect many weeds. We were billed anyway. Then we were told that the effective weed control products were on back order from Europe and that the products they were using were ineffective. We were billed anyway. Then Weed Man paid us three ‘pretend’ visits. They charged us for three varied weed and fertilizer applications at three different times but never actually showed up. Finally, they showed up at the end of October after several frosts to fertilize, just in time for the snow. 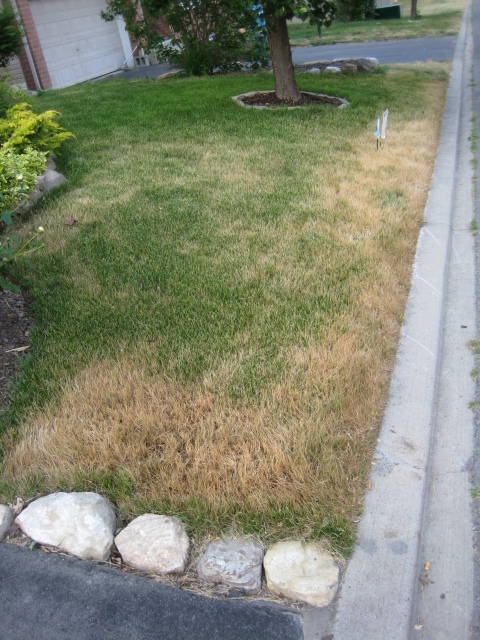 Throughout the summer, we made several requests for a manager to come and inspect our lawn. No one ever arrived. When we called several times to speak to a manager, we were told all managers were in a meeting. Their products are useless, there is NO customer service and they have no regard for honesty. Shame on you, Weed Man. Yeah, WeedMan applied saritor on my beautiful freshly sodded lawn and promised that will protect it from weeds. BIG MISTAKE ! two days after, the lawn was dead despite watering it and following religiously their indications on how to maintain it !. I called their office in Ottawa and asked for immediate assistance, 2000$ and lots of work was wasted by their chemicals .. what I got was a promise that “maybe” I will get someone to come and have a look in a couple of days. I am very very upset and looking after a lawyer already … the more I read the reviews the more people I see in my situation., anyone out there that knows how these folks can be determined to pay for the damage or at least take them out of the market ? I employed Weedman to look after my lawn for five or six year & I was completely happy with the resulting lawn. However, since the implementation of Ontario’s pesticide ban, the results have not been particularly good. For this reason I declined to renew my contract with the local Weedman agent. Since that time I have been harrassed by persistent, rude phone calls (9 or 10 to date) trying to get me to renew my contract. If I decide to use a lawn service in the future, it definitely will not be Weedman! This was my first experience with Weed Man, fortunately it will be my last. In order to get my business they made a bold statement saying that they could care for my lawn better then I could. After calling them several times to deal with the increase in weeds, they came and applied another control chemical. This did not work, I called several more times and could not getting anything done about the problem. After having an employee ring the door bell wondering if Weedman could be employed to help with my weed infestation I indicated to him that they currently were. He was shocked and filled out a form for them to drop by and manually pull the weeds. This never happened, they kept delaying until cooler weather when they could apply chemical. My lawn has been in the worst condition it has ever been in and I will NEVER use weedman again.